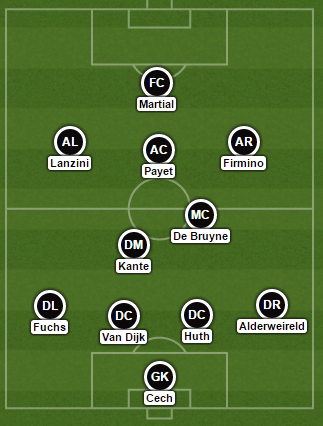 Premier League signings team of the season. With the Premier League season over and plenty of time until club football begins again, it’s a time for reflection for the clubs who will now look to either maintain similar levels of performance next season or look to take the next steps going forwards. The transfer market will of course be the best way to improve each squad and with a huge increase in Premier League money going into next season, there are likely to be some spectacular deals taking place. With this in mind I pick what I believe to be the signings of the season just gone with an XI that I thought took their team up a level. The high quality Czech international predictably improved Arsenal’s team picking up the Golden Glove award this season. Cech made a few errors including a debut to forget but the former Chelsea man assured the Arsenal defence and on the whole made some superb saves. A signing which in a way would frustrate Gunners fans more that they didn’t add further to this key signing down the spine of their team. The Belgium man has been outstanding and developed further from his loan at Southampton last season. He has all the qualities of a top defender and has performed impeccably with Vertonghen which was a key reason why Spurs had a good season and most noticeably the best defence in the league. His ability to pick a pass out from the back particularly caught my eye. Huth made the move to the King Power permanent this season having been a hugely influential figure in keeping the Foxes up previously. Now he’s a Premier League Champion having scored some key goals along the way. Huth has been the perfect fit with Ranieri’s style, making it simple for Huth to stick to the basics. Not the most talented but certainly one of the most effective. With great protection and the side sitting deep, the former Stoke man has been able to read the game well and out muscle strikers all season. When I talk about taking a team up a level, the Dutchman has been a key signing in an impressive season again for the Saints, with a relatively heavy price tag, the signing from Celtic has formed a good partnership with the fantastic Jose Fonte and his all round game has been a big part of his success with his physical stature an obvious advantage in the Southampton back line. With fairly limited choices at left back I’ve gone with the Austrian who arrived from Schalke in the summer on a free transfer. He was part of a steady Leicester defence throughout the season. Another player who suited defending deep positions, Fuchs was a reliable player with good physicality and set pieces. Signed for just under £6 million, Kante is the bargain of the season or arguably the signing of the season. His non-stop energy and ability to break up the play was pivotal for Leicester and allowed for a counter-attacking style of play. Leicester fans would have feared the worst when he suffered a hamstring injury in February but he somehow appeared just a week later. Without him you feel Leicester would have been far less effective which shows what a signing he has been. What a player. His transfer fee was extortionate costing £55 million from Wolfsburg. I had my own doubts about how good the Belgium attacking midfielder would be but he has answered those doubts in style. De Bruyne has been a huge positive for City in a shocking season, his brilliance on the ball and imagination to create and score goals will surely be a huge asset to them next season. In the modern game, you feel he will be well worth the money. A huge price tag of £30 million arriving from Hoffenheim but the Brazilian has showed signs that Liverpool haven’t forked out too much for his services. The 24 year old has played as a false nine at times and may benefit further next season if Klopp can fit him in a system where he can use his flair and intelligence on the ball. His energy and clever interplay has seen Liverpool display some fine performances with Firmino possessing a quality goal tally into double figures for his first season in the Premier League. A joy to watch and a great addition to the league. 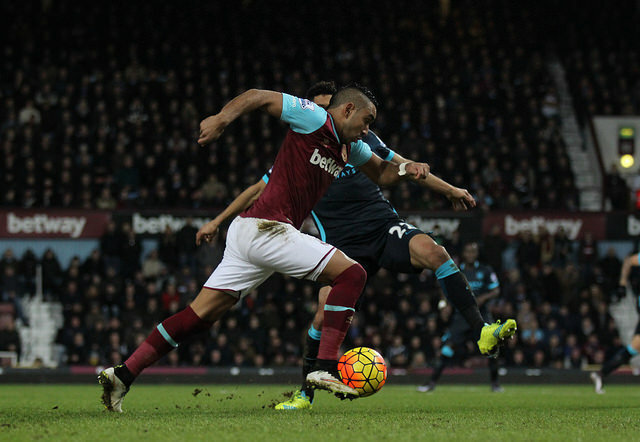 It was no surprise that the Hammers had a poor spell when the Frenchman suffered an injury earlier in the season. Bought from Marseille, Payet has delighted Upton Park with his genius ability on the ball racking up several goals and assists. His technique, free kicks and ability to get into the right areas and then deliver have made him West Ham’s key man. One if not the signing of the season. Lanzini is another great player to watch for the neutral. His balance and quick change of pace is influential going forwards. The Italian bizarrely joined on loan from United Arab Emirates club Al Jazira which is a waste of his talents. The 23 year old has suffered from injuries reducing the impact on the team but when he has been fit he has given defenders a lot to think about cutting in and creating chances while also contributing goals to the side. When the unknown striker arrived from Monaco for a huge fee, plenty of fans laughed at this signing. Martial looks the real deal and for a 20 year old he is some talent. Still a bit raw, Martial has had to play on the left wing at times, which still plays to his strengths with his ability to beat a man and use his terrific acceleration. He has a decent goal scoring record and created several chances for himself and team mates since signing. He will want to improve further next season and try and smooth out some rough edges. If he does that, he will be a frightening player in this league. Short-listed players: Cuco Martina, Ogbonna, Funes Mori, Britos, Ake, Kirchoff, Antonio, Imbula, Ayew, Capoue, Cabaye, Okazaki. What do you make of this team? What changes would you make? Let us know in the comments below!